The most famous ghost in England was King Charles 1st. He was born in the year 1600 and was beheaded in 1649. During his lifetime he engaged in a power struggle with the English Parliament after they objected to his dictatorial actions. He took the position that he was ordained by God to rule and did not need Parliamentary consent to levy taxes or interfere with the workings of the church. He was executed at Whitehall. He wore two shirts to the execution to stop the chill weather from making him shiver. He did not want to appear to have any fear in front of the crowd. His last words were “I shall go from corruptible to an incorruptible Crown, where no disturbance can be.” Then he was beheaded with one clean stroke. It is well documented that King Charles haunts the Painswick Court House. He stayed there during the Siege of Gloucester in 1643. His ghost has been seen on numerous occasions in the grounds of the Court House along with some of his men. The ghostly Cavaliers have also been observed suiting up for battle. The sound of their armour being put on is quite clearly heard by those to whom these ghosts have appeared, however, but no words are uttered by the soldiers themselves. Chavenage House is an Elizabethan house at Chavenage a hamlet near Tetbury in Gloucestershire. 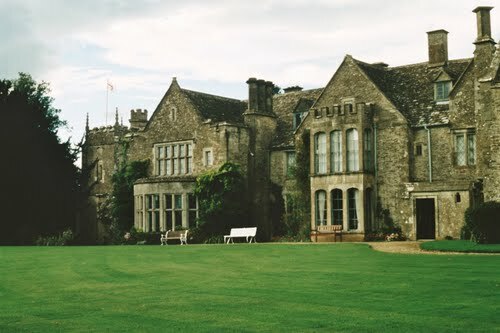 Chavenage House was built in 1576 by Edward Stephens although there are parts of an earlier medieval building contained within the fabric of the current house left when Stephens added the two wings and a porch to create the classic Elizabethan style manor house. On a late December afternoon in 1648, a group of horsemen led by Henry Ireton - son-in-law of Oliver Cromwell and leading Parliamentarian galloped along the rutted highways of the Cotswolds and then along the approach to Chavenage House. It was then that Henry Ireton and Nathaniel Stephens retired from the company and settled down to discuss the important matter that had brought him to Chavenage, the execution of their King, Charles 1st. With the Civil War now over and King Charles Stuart a prisoner, it had become apparent to Cromwell that the King would have to be executed if Royalist uprisings were to be deterred. However, many of his supporters had baulked at the prospect of committing Regicide. Amongst them was Colonel Nathaniel Stephens, a mild man who wavered in making the decision to sacrifice the life of the King, and who, as Ireton arrived at his door, had almost made up his mind against it. The two men are reputed to have sat up all night discussing and arguing the point and it was with great reluctance that, the next morning, Stephens finally agreed to give his acquiescence. Ireton returned to London and on January 30th 1649, Charles Stuart, King of England, was beheaded outside Whitehall Palace in London. The fortunes of Nathaniel Stephens fared little better than those of the King. His daughter, Abigail, had been away at the time of Ireton’s visit. Returning shortly after the New year she was furious at her father for bringing the family name into such disrepute, and in her anger she placed a curse upon him. Soon afterwards Colonel Stephens was taken terminally ill. 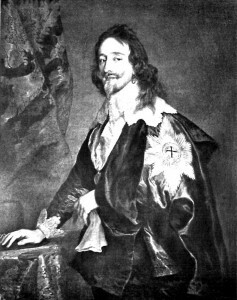 Shortly after Kings Charles 1st execution in 1649, the headless ghost of the king is reputed to have appeared at Chavenage House during the funeral of Colonel Nathaniel Stephens who fell ill and died a few months after the King's death. The servants reported a mysterious black horse-drawn carriage driven by a head-less coachman pulling into the drive. The dead Nathaniel's body was seen to drift downstairs and out of the front door and into the awaiting coach. As it went its headless coachman assumed the shape of the martyr King, Charles 1st - this being seen as retribution for the Colonel’s disloyalty to his monarch.The coach burst into flames on passing through the manor gates. Chavenage House also also has other spooky events including a levitating bed, the "grey lady" and the appearance of a spectral monk within the chapel.